Sea Lodge F8 is an immaculate 2 bed / 2 bath top floor unit. 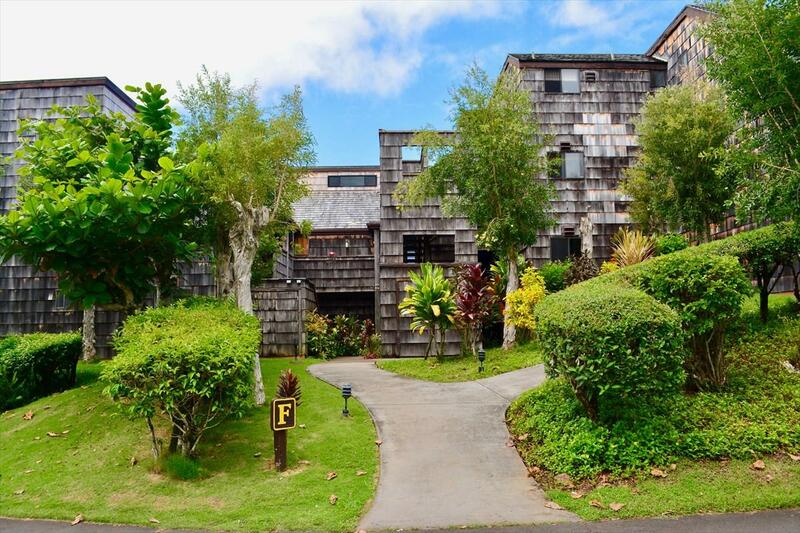 It is in a fantastic location at Sea Lodge II and offers beautiful ocean views from the living room, lanai, master bedroom and upstairs loft bedroom.High ceilings make this space feel open, airy and light - the windows and lanai showcase the ocean view. Owners updated the flooring to a solid strand woven tiger bamboo wood and have lovingly maintained this condo over the years. Enjoy breathtaking views while dining on the lanai or relaxing in the living room or the bedrooms! 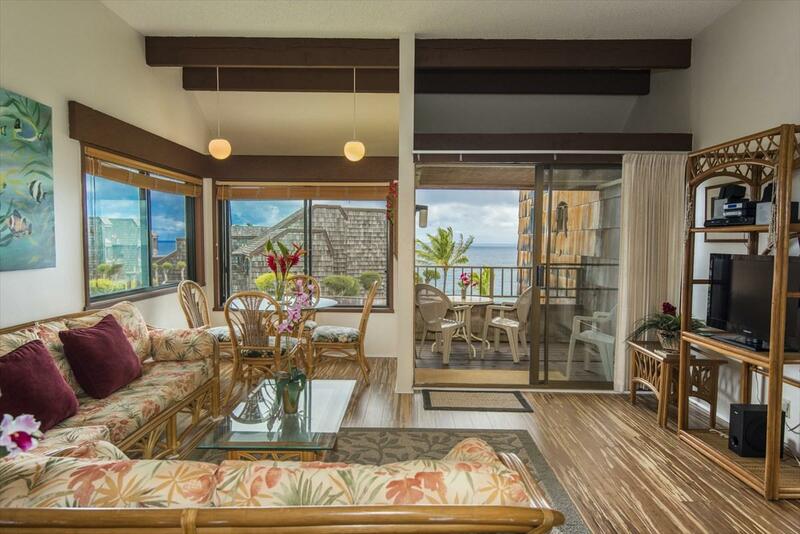 The lanai is perfect for whale watching in season. Albatross birds soar along the bluff. If you look closely, you may see dolphins going by! You'll hear the waves crashing along the reef with the big winter swells, or they may lull you to sleep in the summer with gentler waves caressing the reef. It is a short hike to Sea Lodge beach for a more secluded beach experience and if safe, great snorkeling. The bluff at Sea Lodge offers fantastic spots for viewing sunrise and sunset. 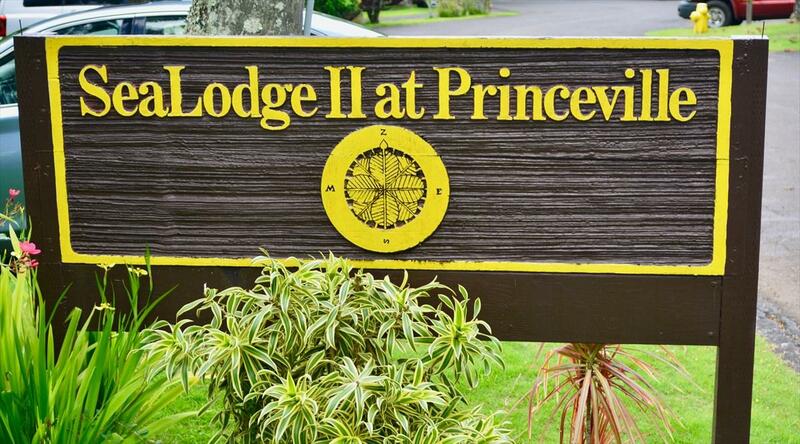 Sea Lodge is also conveniently located to all of Princeville's best spots like Queen's Bath, Anini, Hideaways and more!Sea Lodge F8 is all about location and views! Sea Lodge F8 is a popular and successful vacation rental. It is being offered turn-key. 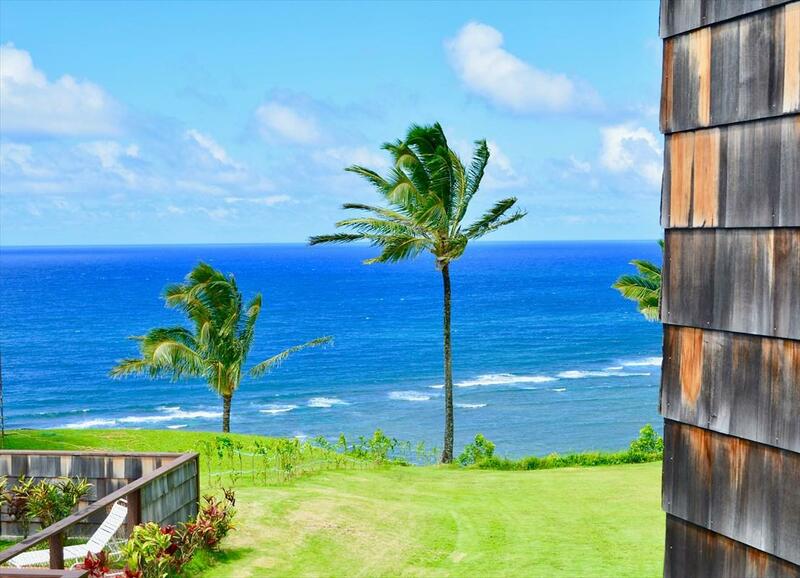 If you are looking for a magical condo for your second home, or vacation rental on Kauai, this is it!